As every third week-end of the month, there was no important FISTF tournament this week-end. All over Europe, there were several competitions for teams and here is a very brief summary of the national competitions. 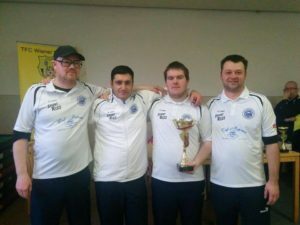 AUSTRIA: TSC Royal 78 (Stefan Sandner, Alexander Haas, Heinz Eder and Murat Tünger) has become Austrian Cup winner. They beat TFC Wiener Neustadt in the semi and TFC Mattersburg in the final, a big performance. 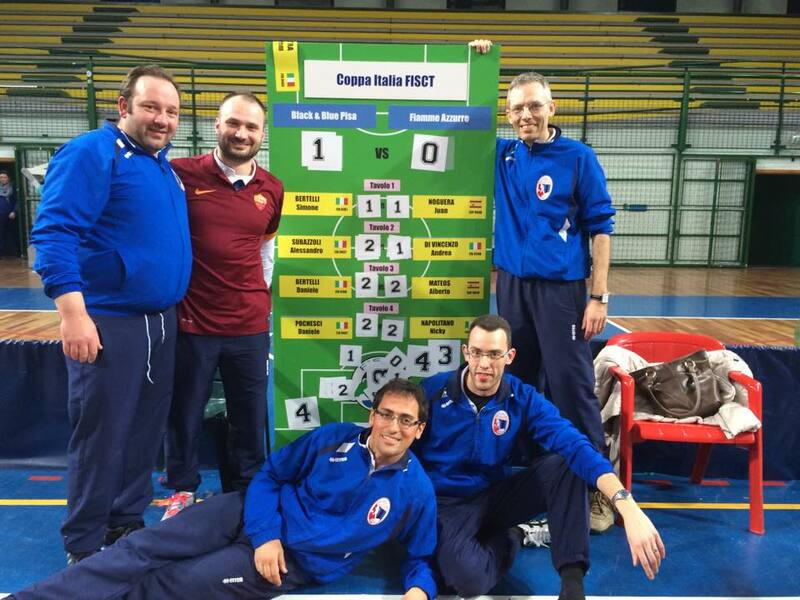 ITALY: CCT Black & Blue Pisa (article picture) won the national Cup in San Benedetto (final against Fiamme Azzurre). The team of Perugia (picture) won the U19 tournament. 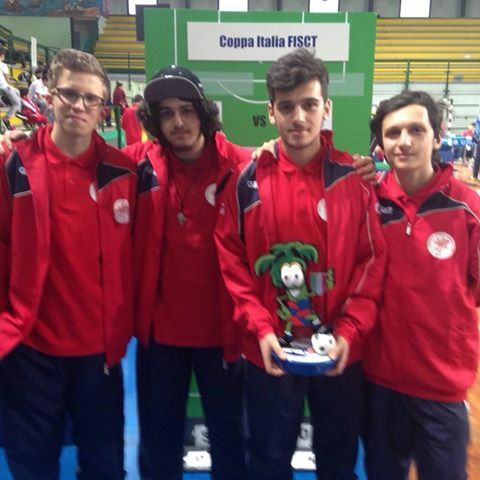 MALTA: the national championship for teams took place this week-end. 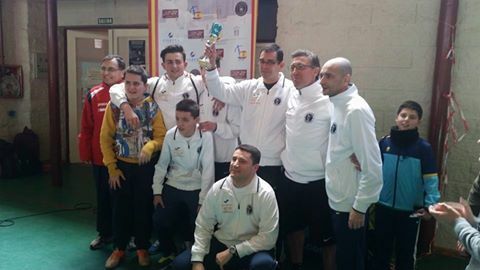 The winners are Valletta Subbuteo Club (picture) while the Valletta Lions are runner-ups. SPAIN: Congratulations to the team of Tiburones (picture) for winning the national title. During the week-end, invidual titles have also been awarded to David Gonzalez (Open), Ferran Coll (Veterans), Antonio J. Casín (U19), Antonio García Fernandez (U15), Kristian Sylagiev (U12). BELGIUM: the third (of 4) day of the national league was played in Rochefort. After 12 games, SC Charleroi is still the leader of the league with 29 points while Rochefort TS have 28. Verviers-Herve (22), SC Stembert (20) and Brussels SC (20) are still competing to qualify for European cups. SC Eugies “B” is the leader of Division 2. This entry was posted in Player News and tagged Austria, Belgium, Italy, Malte, Spain. Bookmark the permalink.